We know we’re still in the throes of (an unseasonably warm?) winter, but that doesn’t mean we can’t start getting HYPED about fall! PSLs, bonfires, and cozy sweaters are all reasons we love autumn. Another (arguably more important) reason? A WHOLE NEW CROP OF BOOKS TO READ AND READ AGAIN! 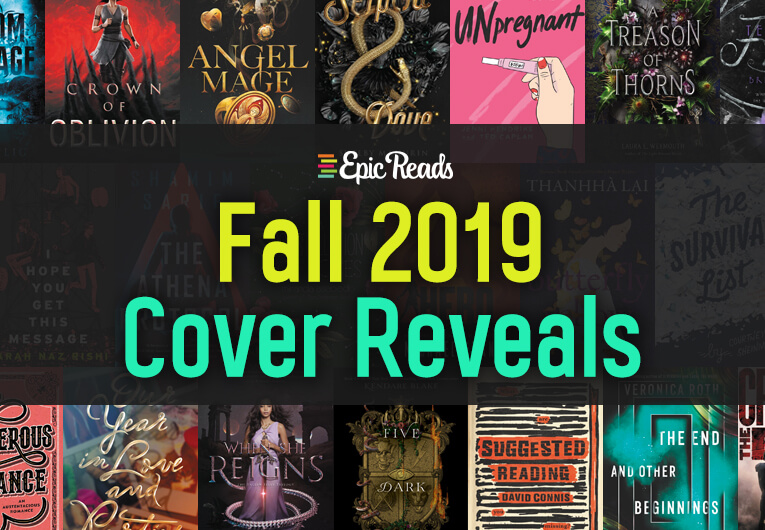 As you all know, every season we bring you the latest and greatest cover reveals, and maybe we’re biased, but HarperCollins has truly outdone itself for Fall 2019. This list includes new stories from your fantasy faves, heart-wrenching contemporary loveliness, and more, and we are so thrilled to be bringing you the first glimpses of the books we love so much. Of course, more covers are still to come (because you can’t rush perfection, and guys… they are PERFECTION), but we hope you enjoy this gorgeous roundup. Prep your TBRs, everyone. You’re about to fall in bookish love. For her sixteenth birthday, Louise le Blanc’s mother vowed to sacrifice her in a ritual that would have ended an ancient war between the Church and witches. Instead, Lou fled her coven and took shelter in the city of Cesarine, forsaking all magic and living off whatever she could steal. As a huntsman of the Church, Reid Diggory has lived his life by one principle: Thou shalt not suffer a witch to live. But when Lou tricks Reid into a public scandal, the two are forced into an impossible situation—marriage. Their animosity quickly softens to what could be love, but Reid is still a huntsman and believes the only fate for a witch is the stake. Lou, unable to ignore her growing feelings, yet powerless to change what she is, must make a choice. And love makes fools of us all. Mirabella, Arsinoe, and Jules had Queen Katharine right where they wanted her. But when she unexpectedly killed Jules’s mother, she broke the spell that kept Jules’s Legion Curse in check. Now Jules, ravaged by uncontrollable fits of rage and violence, has to be locked away, and Arsinoe and Mirabella are tasked with figuring out their next move in the plan to overthrow their sister’s throne. Then Mirabella goes missing, and though Arsinoe doesn’t want to admit it, all signs point toward a betrayal she can’t fathom—that Mirabella has decided to ally with Katharine. Arsinoe fears that Mirabella will play their last card: that Jules, their one chance at overthrowing the throne, is barely able to speak without being heavily sedated. That the Legion Queen’s loyal following of ragtag warriors is dwindling. That Arsinoe can’t see a way out of this mess. But there’s more to the picture than Arsinoe realizes. A Blue Queen shrouded in mist waiting to strike. A thousand dead queens beneath Katherine’s skin with their own aims. And an elemental with a trick up her sleeve that even the most cunning player won’t see coming. One thing is for sure: this war will come to an end… but with it, what else? Katharine’s reign? Her sisters’ lives? Or the entire fate of Fennbirn? In the final days of the Viet Nam War, twelve-year-old Hang took her brother, Linh, to the airport, desperate for them to be brought to America. In a split second, Linh was taken—and Hang was left behind. Six years later, she endures a horrifying escape from Viet Nam and arrives in Texas as a refugee, where LeeRoy, a city boy with rodeo dreams, helps her find the brother she thought she’d lost. But Hang’s heart is shattered all over again when she learns that Linh doesn’t remember her at all. The distance between them feels greater than ever—but she’ll do anything to bridge the gap. Isaiah loves football. In fact, football saved Isaiah’s life, giving him structure and discipline after his sister’s death tore his family apart. Now, nothing makes Isaiah happier than setting up the perfect defense and delivering a big hit. But when Isaiah gets knocked out cold on the field, he learns there’s a lot more to lose than football. While recovering from another concussion, Isaiah wonders what his life would look without football. All his friends are on the team, and Isaiah knows they can’t win without him. There’s also the scholarship offer from Cornell, which is only on the table if he keeps playing. And without football, what would keep his family together? What would prevent him from sliding back into the habits that nearly destroyed him? As Isaiah begins to piece his life together with help from unexpected places, he must decide how much he’s willing to sacrifice for the sport that gave him everything, even if playing football threatens to take away his future. Violet Sterling has spent the last seven years in exile, longing to return to her home, Burleigh House. One of the six great houses of England, Burleigh’s magic always kept the countryside well. And as a child, this magic kept her happy, draping her in flowers while she slept, fashioning secret hiding places for her, and lighting fires on the coldest nights to keep her warm. But when she’s given a chance to return to her home, it’s to discover Burleigh has run wild with grief. Burleigh’s very soul is crying out in pain. And as its tormented magic ravages the countryside, Vi must decide how far she’s willing to go to save her house—before her house destroys everything she’s ever known. Seventeen-year-old Veronica Clarke never thought she’d want to fail a test – until she finds herself holding a thick piece of plastic and staring at two solid pink lines. How her boyfriend managed to get her pregnant, even with the most consistent use of condoms, is a mystery–but with a college-bound future now disappearing before her eyes, Veronica considers a decision she never imagined she’d have to make: an abortion. Except the closest place to legally get one is nine hundred miles away in New Mexico–and Veronica doesn’t have a car. Desperate, she turns to the only person who won’t judge her: Bailey Butler, Jefferson High’s own little black cloud of anger and snark–and Veronica’s ex-best friend. The plan is straightforward: a thirty-hour drive to the clinic and back. What could go wrong? Not much, apart from stolen cars, a crazed ex-boyfriend, truck stop strippers with pro-life agendas, ferret kidnapping, and aliens. Plus, the pain of a broken friendship that can’t be outrun, even when speeding down a highway. Soon, Veronica must risk everything to repair the hurt she’s caused. Under the starlit skies of the Southwest, Veronica and Bailey discover the road to adulthood isn’t easy–but it’s better with a friend by your side. Eleanor and Park. The Perks of Being a Wallflower. Their Eyes Were Watching God. These are just a few of the books at Lupton Academy that are now considered “prohibited media.” A passionate reader who loves staying up all night to highlight the best lines in her favorite novels, Clara Evans is horrified when she discovers the titles on the principal’s hit list are being taken out of circulation at the school library. In fact, the books aren’t allowed anywhere on the school’s premises, and students caught with the contraband will be sternly punished. Many of these stories have changed Clara’s life, so she’s not going to sit back and watch while her draconian principal, Mr. Walsh, abuses his power. She’s going to strike back. With the help of her friend and student body president, LiQui, Clara starts an underground library—the UnLib—in her locker, doing a shady trade in titles like Speak and The Chocolate War. But when one of the UnLib books she loves most is connected to a tragedy she never saw coming, Clara’s forced to face her role in it. Will she be able to make peace with her conflicting feelings, or is fighting for this noble cause too tough for her to bear? WHAT DO YOU DO WHEN YOU LOSE THE PERSON YOU LOVE THE MOST? Sloane Weber is devastated when her older sister dies by suicide. Talley was a bright light who made everyone want to step closer. Why had she made that unthinkable choice? The only clue that Talley left behind for Sloane is a puzzle—a list of random places and names, along with the phone number for a boy named Adam, who lives in California and claims he didn’t know Talley. A few of the other list items are also in California, though Talley herself had never been there . . . or maybe she had. Sloane has to find out. She heads west, enlists Adam’s help, and together they search for answers. But while Sloane is drawn to Adam, she can’t shake the feeling that he’s hiding something. Is Sloane ready to learn the truth—about Adam, her sister, or the secrets her family has been hiding for years? 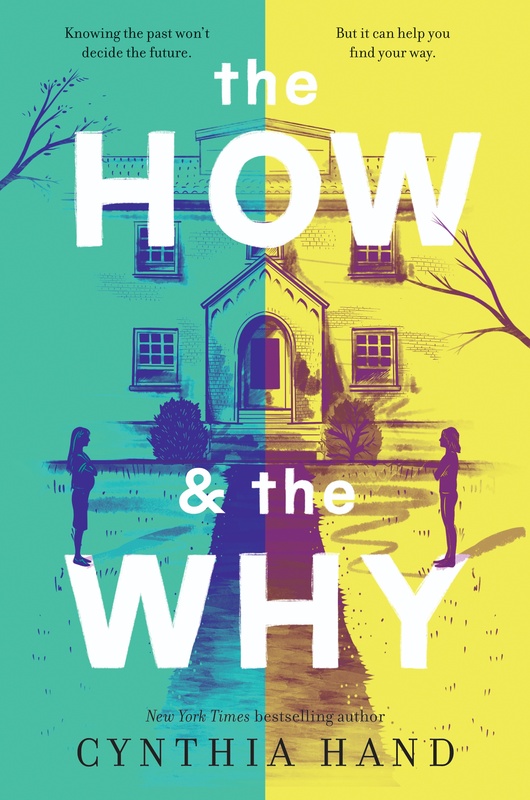 From author Courtney Sheinmel comes an emotional, page-turning novel about the bonds of sisterhood, the imprecision of memory, and the incomparable value of finding something to live for. Suddenly, Meri is faced with a choice between accepting the “truth” she has been taught or embracing a world the government doesn’t want anyone to see—a world where words have the power to change the course of a country, and the wrong word can get Meri killed. No world is like the other. Within this masterful collection, each setting is more strange and wonderful than the last, brimming with new technologies and beings. And yet, for all the advances in these futuristic lands, the people still must confront deeply human problems. In these six short stories, Veronica Roth reaches into the unknown and draws forth something startlingly familiar and profoundly beautiful. Imagine a unique symphony, a slow ode of aches and joy, notes created by each body as it lives and as it dies. In “Hearkeners,” these songs are heard by a select few. As Darya makes a difficult decision between her role as a recorder of life or death songs, she discovers where the two merge. “The Transformationist” delves into the psyche of Otho—a prisoner in jail for a crime he never intended to commit. His honest story is all it would take to release him, but he refuses to speak. This collection has something for new and old fans alike. Divergent’s globally bestselling author, Veronica Roth, weaves tales that begin with a hope for a better end, but always end with a better understanding of the beginning. Jetta is a prisoner. A prisoner of the armee, a prisoner of fate, and a prisoner of her own madness. 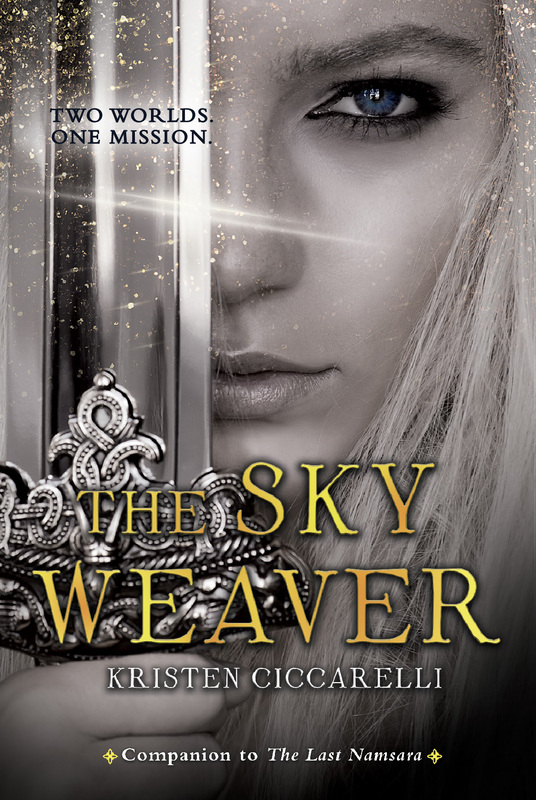 Held captive in Hell’s Court—now the workshop of Theodora, the armee engineer and future queen of Chakrana—Jetta knows she needs to escape. But Theodora has the most tempting bait—a daily dose of a medication that treats Jetta’s madness. But the cost is high. In exchange, Jetta must use her power over dead spirits to trap their souls into flying machines—ones armed with enough firepower to destroy every village in Chakrana. And Theodora and her armee also control Le Trépas—a terrifying necromancer who once had all of Chakrana under his thumb, and Jetta’s biological father. Jetta fears the more she uses her powers, the more she will be like Le Trépas—especially now that she has brought her brother, Akra, back from the dead. Jetta knows Le Trépas can’t be trusted. But when Akra teams up with Leo, the handsome smuggler who abandoned her, to pull off an incredible escape, they insist on bringing the necromancer along. The rebels are eager to use Le Trépas’s and Jetta’s combined magic against the invading colonists. Soon Jetta will face the choice between saving all of Chakrana or becoming like her father, and she isn’t sure which she’ll choose. Acclaimed author Heidi Heilig creates a rich world inspired by Southeast Asian cultures and French colonialism. Her characters are equally complex and nuanced, including a bipolar heroine and biracial love interest. Told from Jetta’s first-person point-of-view, as well as chapters written as play scripts, and ephemera such as songs, maps, and letters, A Kingdom for a Stage is a vivid, fast-paced journey that weaves magic, simmering romance, and the deep bonds of family with the high stakes of epic adventure. It will thrill fans of Stephanie Garber, Renée Ahdieh, and Sabaa Tahir. Jessie Archer is an agent for the Athena Protocol, a vigilante all-female organization created to combat injustices around the world. Athena has strict policies to not kill, so when Jessie loses control on a mission, she’s kicked off the team, right before they’re supposed to take down a human trafficking kingpin in Belgrade. Desperate to prove herself, Jessie launches her own investigation—but going rogue means there’s no one there to watch her back as she gets closer to the horrifying truth. Four nights of the highest highs and the lowest lows. Three seconds to get lost in a good party. Two friends with the potential to be something more. One year that will change everything. Tucker knows that relationships take work. Some are easier than others though. With his best friend, Bobby, and his mom, everything is simple and consistent. His dad, on the other hand, who is sick, still treats him like a nine-year-old. Then Erika Green comes back into his life, stirring up old feelings. A small part of him knows he shouldn’t get too attached during senior year. But a bigger part doesn’t want her to disappear again. Erika from before the video liked to shock people with her words and bright- pink hair. Lately, she’s been holing herself up in small, liberal college life and hoping that the past will stay where it belongs—in a dumpster fire. But then she reconnected with Tucker Campanelli. With him, she doesn’t have to pretend to be okay. And she can’t deny the unexplainable connection between them. And though it’s complicated, she really wants to hold onto that feeling for as long as possible. When news stations start reporting that Earth has been contacted by a planet named Alma, the world is abuzz with rumors that the alien entity is giving mankind only few days to live before they hit the kill switch on civilization. For teens Jesse, Cate, and Adeem, this news from out of this world is about to turn theirs upside down. Jesse, for one, welcomes the madness. His life has been one bad break after another—most of which he can thank himself for—and he’s tired of it. Cate has grown up hearing stories about her dad from her mom, who is schizophrenic, and she decides to find out the truth about the man she’s been told is her father. And Adeem, a prodigy at coding and programming, must become familiar with a concept new to him—forgiveness. With only eight days to right their wrongs and face the truths that have been eating them up inside, Jesse, Cate, and Adeem must struggle to find their places in a world that’s being pulled out from beneath them. Can they really convince Alma that they, and humanity, are worth saving, even if they can’t believe it themselves? There’s no such thing as a secret. SOMETHING happened to Ava.The curving scar on her face is proof. But Ava would rather keep that something hidden—buried deep in her heart and her soul. She has her best friend Syd, and she has her tattoos—a colorful quilt, like a security blanket, over her whole body—and now, suddenly, she has Hailey. Beautiful, sweet Hailey, who seems to like Ava as much as she likes her. And Ava isn’t letting anything get in the way of finally, finally seeking peace. But in the woods on the outskirts of town, the traces of someone else’s secrets lie frozen, awaiting Ava’s discovery—and what Ava finds threatens to topple the carefully-constructed wall of normalcy that she’s spent years building. Secrets leave scars. But when the secret in question is not your own—do you ignore the truth and walk away? Or do you uncover it from its shallow grave, and let it reopen old wounds—wounds that have finally begun to heal? The electric second book in the Heart of Thorns trilogy explores the effects of power in a dark magical kingdom—and the fierce courage it takes to claim your body as your own. Mia Rose is back from the dead. Her memories are hazy, her body numb—but she won’t stop searching. Her only hope to save the boy she loves and the sister who destroyed her is to find the mother she can never forgive. Pilar is on a hunt of her own. Betrayed by her mother, and plagued by a painful secret, she’s determined to seek out the only person who can exact revenge. All goes according to plan… until she collides with Prince Quin, the boy whose sister she killed. As Mia, Pilar, and Quin forge dangerous new alliances, they are bewitched by the snow kingdom’s promise of freedom and opportunity. But with the winter solstice drawing near, they must confront the truth beneath the glimmering ice, as lines between friend, foe, and lover vanish like snowflakes on a flame. With lovable and flawed characters, an evocative setting, and friendships to treasure, Constellation of Roses is the perfect companion to Miranda Asebedo’s debut novel The Deepest Roots. Four years after the Perdido Beach dome went down, the alien virus that created it is still wreaking havoc, and virus-infested rock has created a new set of humans with mutant powers. 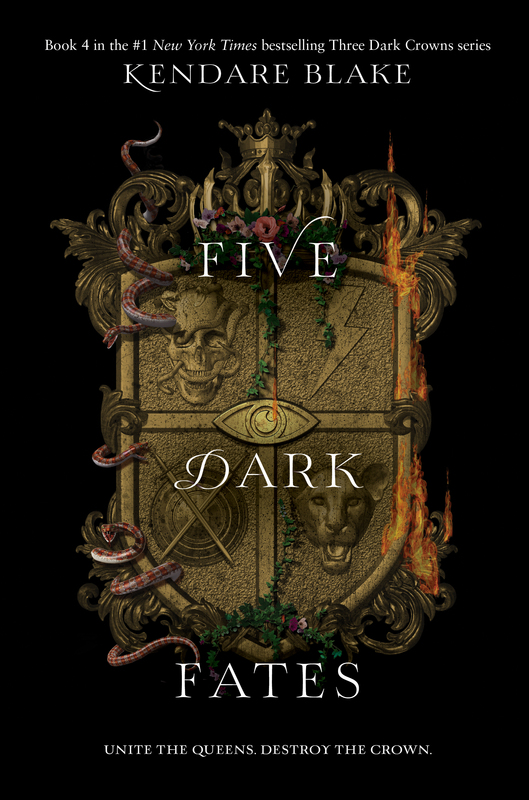 Rockborn gang members Dekka, Shade, Cruz, Malik, Armo, and Francis are fresh off their defeat of Dillion Poe and in need of answers to some very pressing questions about their own powers: who are the Dark Watchers? And what is this Fourth Dimension that only Francis can access? But heroes don’t get down time. When the alien-virus infested rock hits New York, a new foe, Bob Markovic, rises amongst the newly rockborn. Markovic’s arrogance and lack of a moral compass already made him unbearable. With his newfound power to inflict a deadly disease, he could send all of humanity into a living hell. As they try to find their footing on morally gray grounds, the Rockborn Gang will have to make some tough decisions if they want to save the world. Michael Grant bids farewell to the globally bestselling Gone universe with the finale to the Monster trilogy. Old friends and new foes come together in this battle for humanity. The mind-blowing and existential ending will make you rethink: What does it take to be a hero? But there is a way out of this life—competing in the deadly Race of Oblivion. To enter the race, an Outsider is administered the drug Oblivion, which wipes their memory clear of their past as they enter a new world with nothing to help them but a slip of paper bearing their name and the first clue. It’s not as simple as solving a puzzle, however—for a majority of the contestants, the race ends in death. But winning would mean not only freedom for Astrid, but citizenship and health care for her entire family. With a dying father to think of, Astrid is desperate to prevail. From the beginning, the race is filled with twists and turns. One of them is Darius, a fellow racer Astrid meets but isn’t sure she can trust. Though they team up in the race, as Astrid’s memories begin to resurface, she remembers just who he was to her—a scorned foe who may want revenge. Astrid also starts to notice she has powers no Outsider should—which could help her win the race, but also make her a target if anyone finds out. With stakes that couldn’t be higher, Astrid must decide what is more important: risking her life to remember the mysteries of the past, or playing a cutthroat game in order to win her—and her family’s—freedom. Now Safire and Eris—sworn enemies—find themselves on a common mission: to find Asha, the last Namsara. From the port city of Darmoor to the fabled faraway Star Isles, their search and their stories become woven ever more tightly together as they discover the uncertain fate they’re hurtling towards may just be a shared one. In this world—and the next. Plus, be on the lookout for some epic covers that are still to come!